“When a little black dress is right, there is nothing else to wear in its place." That was said by Wallis Warfield Simpson, The Duchess of Windsor. Lisa here with a fun event brought to you by one of our Tampa Bay Dining partners, to commemorate the classic LBD (Little Black Dress). 717 South is hosting their monthly Little Black Dress night. The event is on Friday November 12th and starts at 8pm. Ladies if you come in a Little Black Dress, you will receive complimentary wine (that&apos;s a great reason to get out your LBD and hit the town). They will also have a DJ, appetizer and promotional specials all night. The LBD evening lasts until 11pm. So why the Little Black Dress? And why not the Little Purple Dress? I looked up a bit of history so I could figure out why the LBD is so popular, and such a "must have" item for a women&apos;s closet. In 1926 Coco Chanel published a picture of a LBD in an American Vogue magazine. Vogue named the dress "Chanel&apos;s Ford." It was like the Model T because of its simplicity and availability to many different classes of women. Vogue also said it would become "a sort of uniform for women of taste." 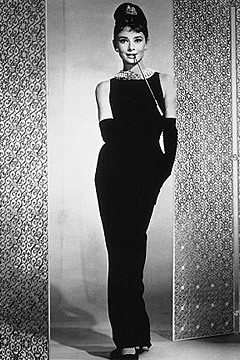 Throughout the years, the Little Black Dress has gone through many different phases. In the 1960&apos;s it was worn with a much shorter skirt length, and different fabrics like tulle. While in the 1970&apos;s the LBD didn&apos;t see much face time because of the popularity of multiple colors. In the 1980&apos;s the LBD came back with shoulder pads (who is glad we are out of that phase? ME!). As fashion evolved in the 1990&apos;s, the grunge look took over, and we saw LBD&apos;s paired with combat boots. As the late 90&apos;s came into view, the classic and elegant LBD started to come back, but the presence of color took over once again. Until now. Recently, the LBD has become more popular than ever, making it a style that won&apos;t ever be out of style. If you haven&apos;t been to 717 South this is a great opportunity to do so, they have amazing food and a great drink selection. Their menu is a blend of Italian and Pacific Rim. The Chef does an amazing job at combining the two. It will be a fun night, and a fun way to show off that classic A-Line or mini-skirt style Little Black Dress in the back of your closet! That&apos;s all for now, but stay tuned for more Tampa Bay Area Events, and Tampa Florida News Updates!